Marianne Arling is currently the Learning Specialist at Nativity Faith and Reason School in Broomfield Colorado. She has a masters degree in special education and over twenty years of experience working with students in schools and in tutoring programs. She is the owner and director of The Marian School. From 2003 – 2011, she served as Program Director for the John Corcoran Foundation tutoring program. In that capacity, she designed and managed a tutoring program which served over 2,000 students in Colorado and California, in after- school and online programs, funded by federal (Supplemental Services) and state (Read to Achieve) grants. Students who completed those programs achieved the some of the highest CSAP gains in the state in reading and math as evaluated by reports published Colorado Department of Education, and by Denver Public Schools. She recruited, trained and supervised over 400 tutors in those tutoring programs. Before that, she worked for eight years as Coordinator of the Pueblo Community College Based Reading Project, an outreach program which provided tutorial support for hundreds of students with remedial reading needs in scores of schools in Pueblo and Fremont counties. She also served as Coordinator of the AmeriCorps program sponsored by PCC, and trained AmeriCorps tutors to work as remedial reading instructors in Pueblo schools. Marianne has a bachelor’s degree from Mount Holyoke College with a major in English Literature, and a masters degree in Special Education from the University of Colorado, Colorado Springs. She taught for over ten years in public schools as a special education teacher. She has been certified as a multisensory reading specialist by the Colorado Department of Education after completing a two-year program which focused on the use of Lindamood Bell and Orton Gillingham strategies for instruction in remedial reading. She is a certified PhonoGraphix trainer. Marianne has been married for 39 years to Deacon David Arling, who has retired from educational positions in juvenile justice systems and from religious education positions in the Catholic Church. They have three grown children, and two grandchildren, and work together in church and family support programs. 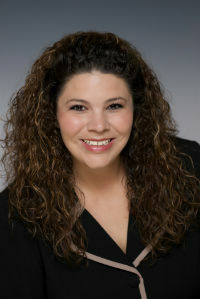 Lisa Cadwallader currently works as literacy specialist in Jeffco Public Schools. She has a masters degree in special education, and has taught in remedial and special education classes for nine years in Jeffco and Denver Public Schools. She has training in multiple remediation programs which include Lindamood Bell, PhonoGraphix, Wilson, Success for All, Fountas and Pinnell Leveled Literacy Intervention, FAST, and Do the Math. 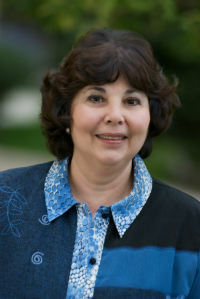 She is also trained to administer multiple academic assessments, which include Woodcock Johnson Tests of Achievement Battery, Dibels, Wilson Assessment of Decoding and Endcoding, TOWRE (Test of Word Recognition Efficiency), Developmental Reading Assessment, Basic Early Assessment of Reading, EMII – a Jeffco district designed assessment program. She also served as a Lead Teacher in John Corcoran Foundation tutoring programs for six years. During her years working as a teacher and tutor, Lisa has improved the lives of hundreds of students. Lisa is married and lives in Westminster with her husband Rich and two children, Neva and Joey. They enjoy working together in theatre projects and are the Director and Choreographer for the Regis Ramblers, theatre group. 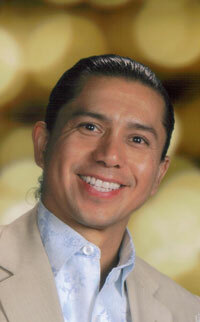 Jose Ambrosio Aguayo Soto has a masters degree in bilingual education from the University of Colorado at Boulder. He specialized in Foundations of Bilingual and Multicultural Education, including coursework in Linguistically Diverse Studies. He attended high school and college in Mexico, and graduated with an Education degree from the Institute of Salesian Superior Studies. He is fluent in Spanish and English and has knowledge of Italian, French and Chinese. Jose has taught primary and secondary students in private schools in Mexico and in public schools in the United States for twelve years. He served as a Coordinator of English in the InterAmerica Institute and Andes Institute L.C. in Irapuato Gt. Mexico, and taught at the Institute Technologic and Superior Studies of Monterrey, Campus-Irapuato. He has also provided tutoring for bilingual students. He taught as a bilingual teacher for Central Elementary School in Commerce City, Colorado, and currently teaches Spanish at the Global Village Academy, International Charter School in Aurora Colorado. Jose lives in Denver, and enjoys playing the guitar and drums, reading, riding his bike, and staying involved in team sports activities.